Hello Christmas season! You are so very welcome here! And hello, friends! Welcome to December's TriStyle & Co. challenge. We've planned something fun for this month that everyone can hopefully participate in. You ready? 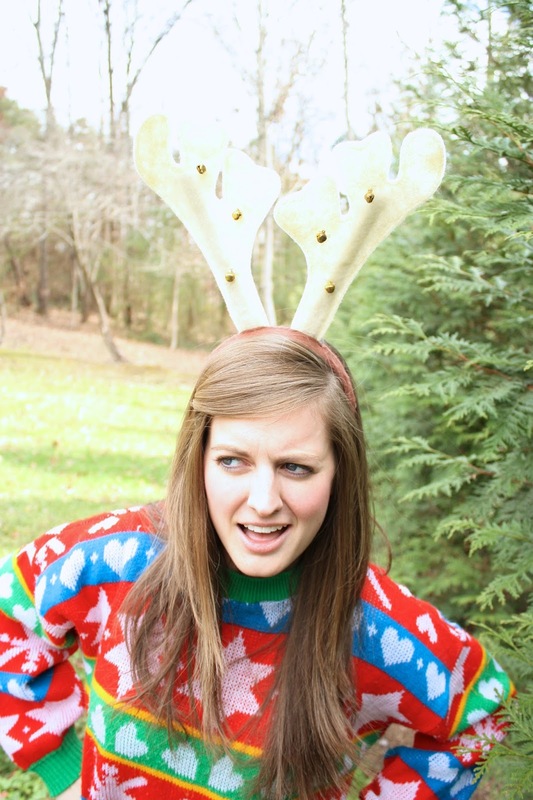 Grab your ugliest Christmas sweater (or head to your local thrift store to find one) and put together your best ugly Christmas sweater outfit! Sam and Beth and I love it when everyone joins in on the fun, and this month is no exception. Have a blast with this, be goofy, be yourself. We can't wait to see what you come up with! Thanks for being a part of this growing community with us! 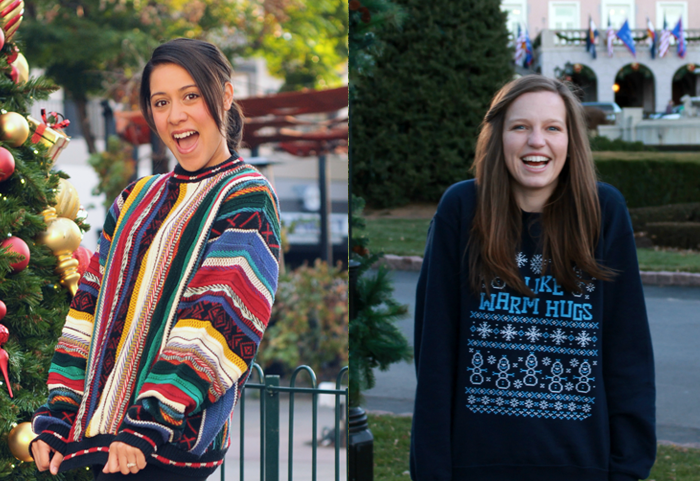 For the month of December, we are styling our ugly Christmas sweaters! See how each one of us style it in our own unique way, and then show us how you style it on your blog, instagram, or twitter! Have fun with it...it's ugly sweaters, after all. 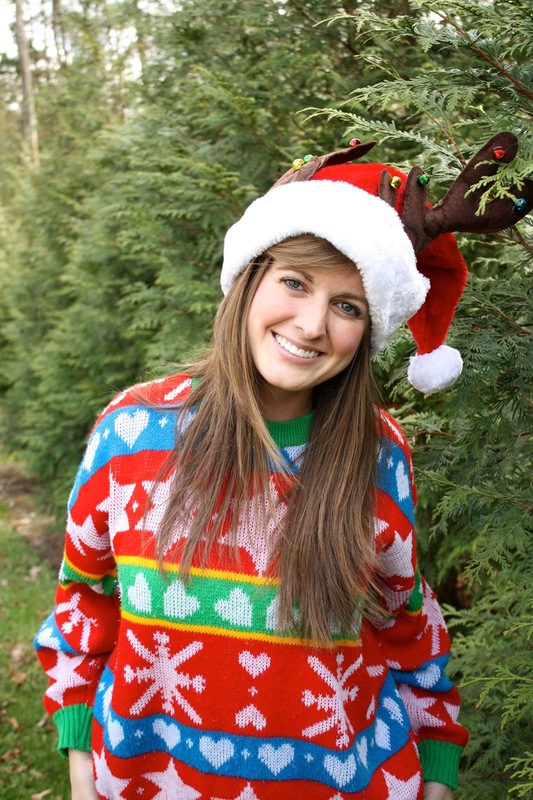 Make sure to use the hashtag #TriStyleCo so we can see your incredible sweaters and Christmas cheer! The last Tuesday of every month (December 30th) we'll be sharing our favorite posts, tweets, and instagrams with everyone! 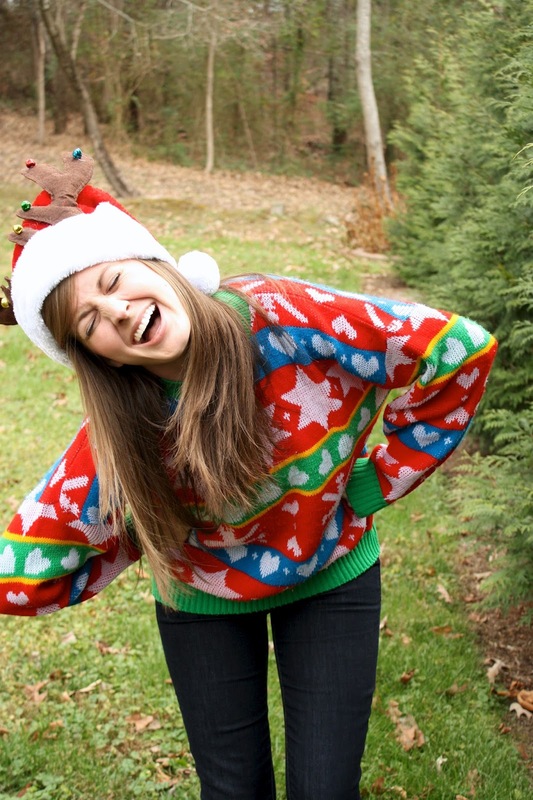 Ugly Christmas sweaters are my favorite...but I've never actually owned one! I've always borrowed them from friends...or let's be honest...friends moms. ;) This time I ran by the thrift store and went with the one I first laid eyes on. I'd say it's a winner. 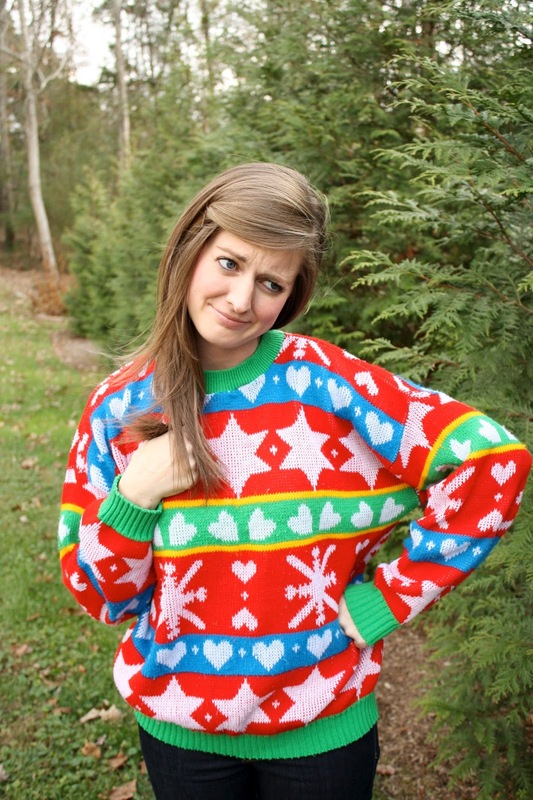 I don't really think you can go wrong with ugly Christmas sweaters, and you can wear them with whatever you want! 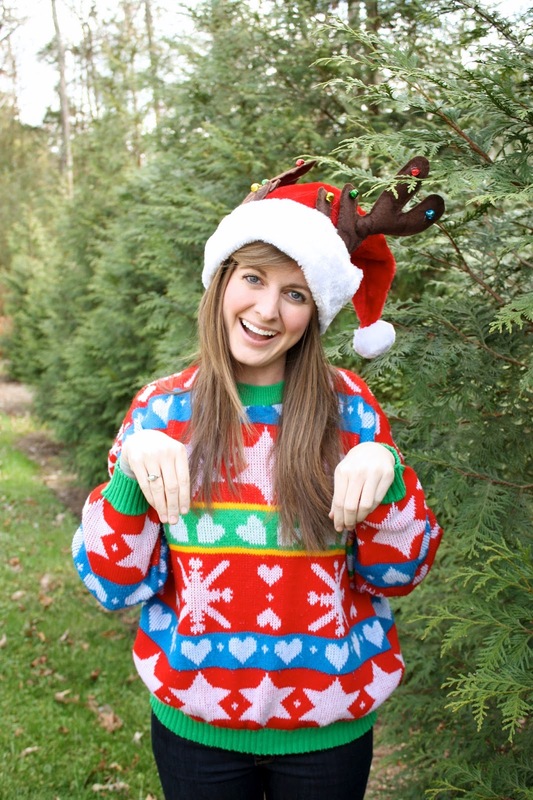 I've already announced to my family that I'll be wearing this sweater on Christmas day...paired with my santa/reindeer antler hat, of course! Christmas is going to be bright and bold in the McIlvaine household this year! 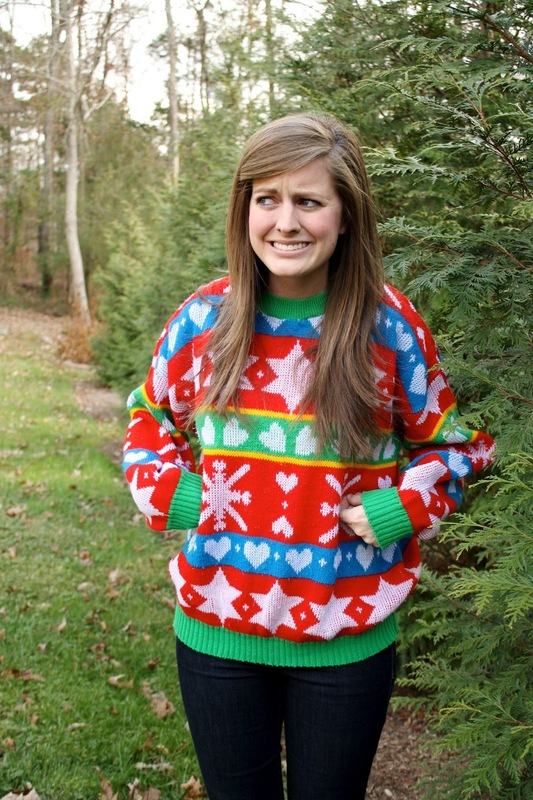 SAM: Aren't ugly sweaters hilarious! I love that you can basically put an ugly sweater with anything. 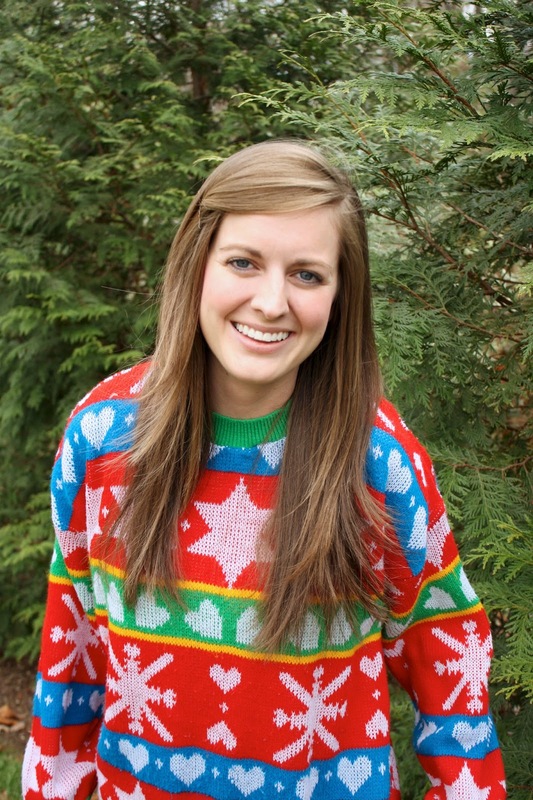 This ugly sweater has been a part of the Kakac family for a few years now. Tyler picked it up at a thrift store and it's been brought out every year. Tyler and I always call it the Bill Cosby sweater. It's totally something that would be worn on the Cosby show, don't ya think? I paired my ugly sweater with black leggings, boot socks, and boots. Perfectly comfy. BETH: The other day my husband was checking his twitter feed of all things wonderfully nerdy and he saw that The Yetee had fun holiday sweatshirts. 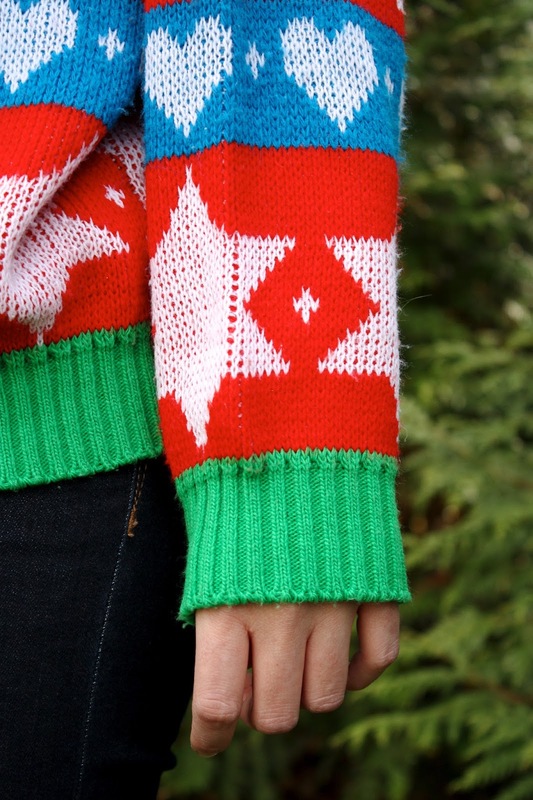 We have a thing for festive sweaters in this family and I just couldn't help but check out with our favorites! When I pulled up the link he sent me in a text and saw an embroidered Olaf staring back at me, I was instantly in love. 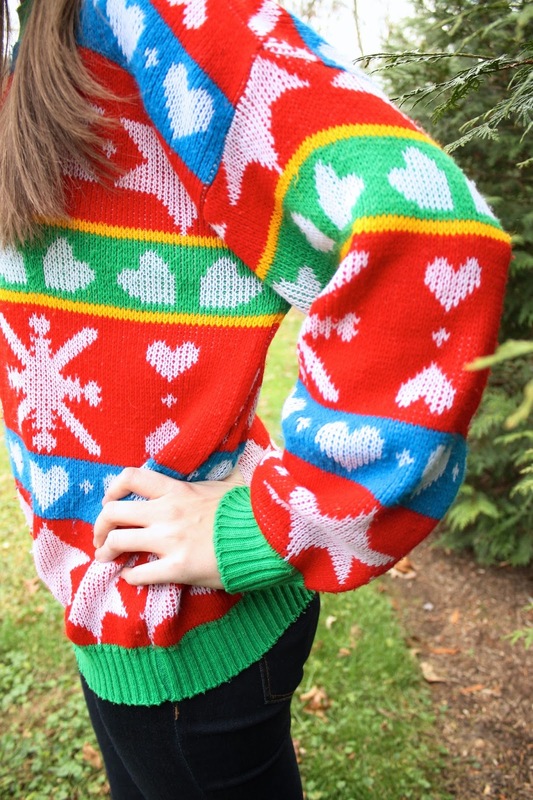 This sweater is everything it appears to be - warm hugs and snowmen. And every time I wear it no fail, someone compliments my sweater and asks me where I got it! Now that is festive if you ask me! These are amazing! You are the cutest! Seriously! I want to put all of these on my fridge!! I kept telling Tyler, "Meg is so cute!" For reals. 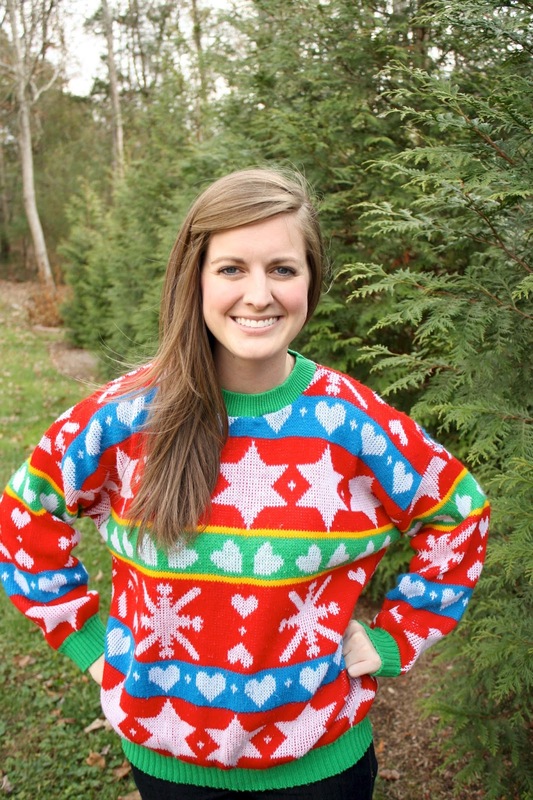 I am so proud of you for owning your very own Christmas sweater! such a GOOD idea!!!! i need to make this happen! Oh my gosh. This is wonderful! 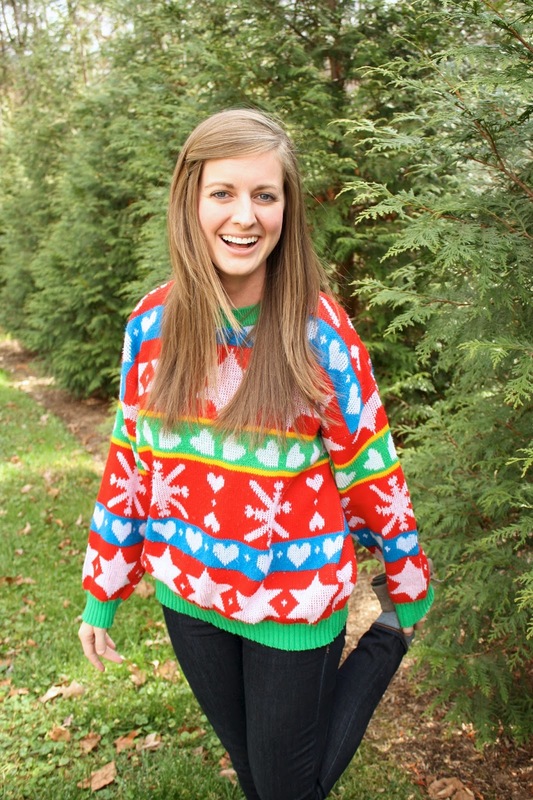 So fun & such a bright & fun festive sweater! I had a pretty great ugly sweater outfit planned for this year... but my 9 month belly bump is really putting a damper on things. :) I will just have to save it for next year I guess! Girl, go get one! They are seriously so fun. I know, right?? Thrift store for the win! Hahahah. I was being SUPER goofy. HAHAHa. I thought of you when I did the deer pose! True story. Hahahah. Thanks friend! ;) They are so fun to be goofy in. Right?? I think about that all the time! I loooove your hair, so beautiful! !